Klein Productions Live Sound Reinforcement Inc.
Klein Productions Live Sound Reinforcement Inc. is a premier audio / video / sound system rental and live sound engineering company servicing the West Coast of Florida and surrounding areas (Sarasota, Longboat Key, Bradenton, Holmes Beach, Palmetto, Ellenton, Osprey, Venice, Tampa / St Petersburg, Clearwater, Innisbrook)... specializing in high-end / affordable equipment rentals and sound systems for small, medium and large events. While our services meet the highest quality in production, we also cater to small home-town parties and events making Klein Productions Live Sound Reinforcement Inc. your source for any size production or event. Klein Productions Live Sound Reinforcement Inc. audio equipment rentals are far superior to our competitor audio equipment rental systems and are highly engineered and designed to always outperform. 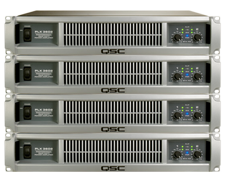 Audio rental services aren’t just about the equipment… it’s about the engineering behind each rental package. Here at Klein Productions Live Sound Reinforcement Inc. we pride ourselves in our sound and service while always standing by our motto: Excellence in Engineering! Klein Productions Live Sound Reinforcement Inc. also specializes in video and visual display systems that enhance and elevate each production, whether it’s for corporate, private party or major commercial events… At Klein Productions Live Sound Reinforcement Inc. we help bring your video and visual display vision to life. Klein Productions Live Sound Reinforcement Inc. only offers the highest quality and reliable video equipment rental systems perfectly matched for your needs and budget. When it comes to live sound reinforcement… there is no better choice than Klein Productions Live Sound Reinforcement Inc. We offer the very best in sound reinforcement, engineered to perfection, and at an affordable price. From small private parties to large concert sound, Klein Productions Live Sound Reinforcement Inc. is your choice for engineered excellence. Whether it’s for a small club, church or large venue / hall... Klein Productions Live Sound Reinforcement Inc. will engineer the perfect system for your facility. Klein Productions Live Sound Reinforcement Inc. doesn’t stop there, we help maintain, calibrate and upgrade based on your specific needs and budget. Klein Productions Live Sound Reinforcement Inc. has installed numerous systems throughout Florida and prides itself in its system performance and reliability while supporting each install like it was their own. From live recording / music production to video capture and editing, Klein Productions Live Sound Reinforcement Inc. has 20 years of experience in Florida, offering unparalleled production and engineering services throughout the USA. Don’t make the mistake of putting your next project in the hands of an inexperienced engineer. Remember… audio production requires extensive experience and background to allow each project to meet that World-Class standard.